In September, I took a trip to Germany and the Netherlands. Over the next few posts on Garden of Aaron, I'll be sharing some of my garden related experiences and memories from the trip. But first, any travel involves finding a place to sleep. Personally, as a gardener, I try to find places with an eco-friendly sensibility. 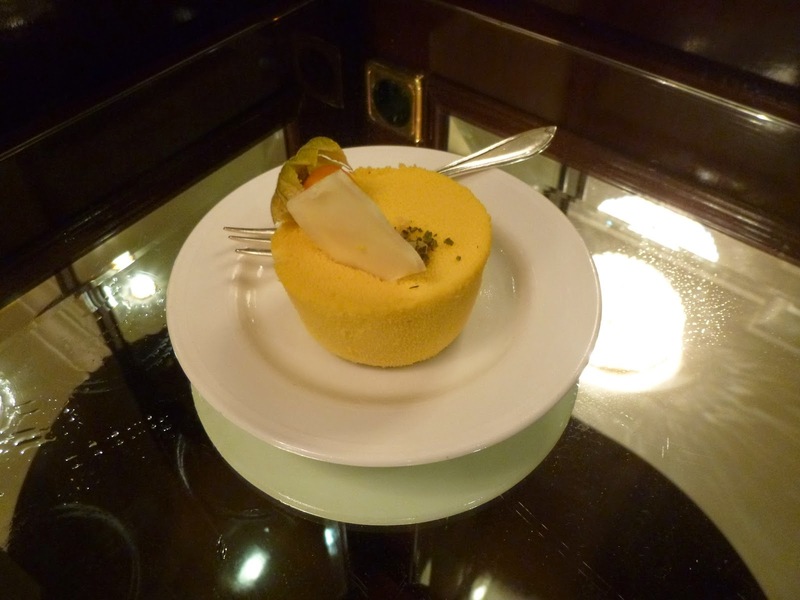 In Berlin, I found two hotels that actually maintain their own beehives and produce their own honey - the Ritz-Carlton and the Scandic, both of which are on or near Potsdamer Platz. Wikipedia has a great entry on the history of Potsdamer Platz, once the busiest public square in Europe. Destroyed in WWII and subsequently divided by the Berlin Wall, Potsdamer Platz became a desolate no man's land. But after the Cold War ended and Germany reunified, the platz sprang back to life. For a while, it was the biggest construction site in Europe. Heavy investment has transformed it once more into a showcase for modern Germany. All of which is to say that from a traveler's perspective, Potsdamer Platz is interesting, historical (you can still see remnants of the Berlin Wall) and convenient from a transit perspective. When I started researching eco-friendly places to stay in Berlin, it was the beehives at the Ritz-Carlton that first caught my eye. Installed in 2011, the seven beehives house up to 400,000 (!) bees in the summer -- fewer in winter -- who collectively produce 250 to 400 kilograms of honey each year. Some of that honey shows up at breakfast in the hotel's restaurant, while jars of the sweet stuff can be purchased as souvenirs at the hotel's gift shop. Some of the honey even makes its way into the hotel's delicious signature lavender-honey cake! 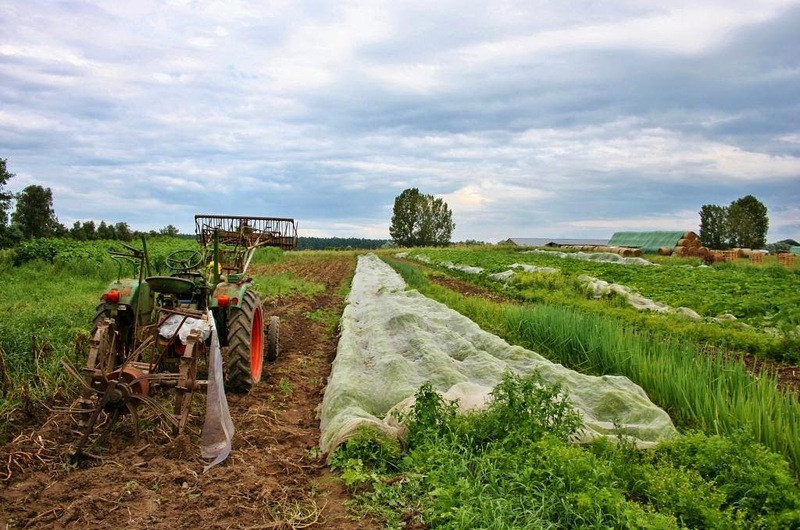 The restaurant at the Ritz-Carlton Berlin incorporates ingredients from approximately 5 acres of land that are farmed exclusively for the hotel. The farm is in the Mecklenburg-Vorpommern region, a couple of hours north of Berlin. In season, the farmer (who is also the supplier for the Ritz-Carlton Berlin's organic lamb meat) grows more than 60 kinds of organic and bio-certified vegetables and herbs for the hotel, including pumpkins, onions, carrots, cabbage, Jerusalem Artichoke (known locally as topinambur) and lavender. 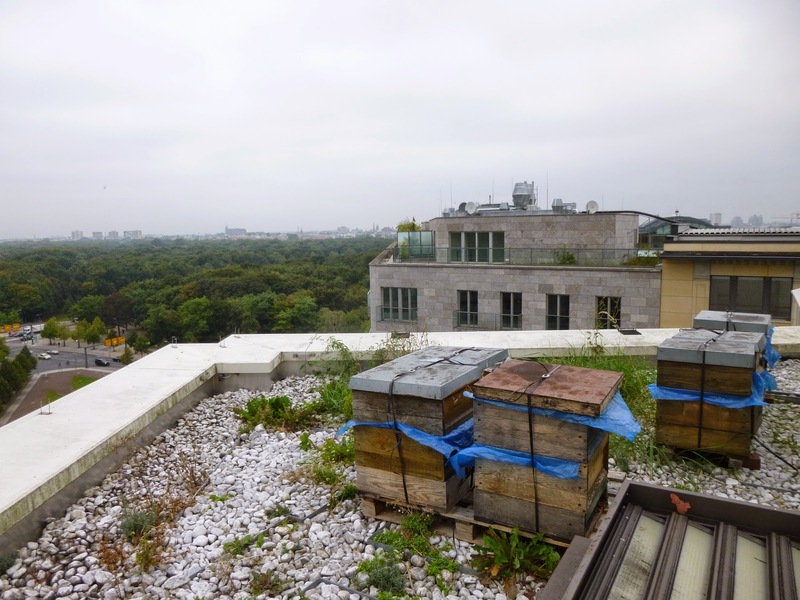 The beehives are just one of the many environmental initiatives at the Ritz-Carlton Berlin, which recently became the first five-star-superior hotel to win certification from the EU's Eco-Management and Audit Scheme. The hotel managed this feat by taking a number of eco-friendly steps, including installing energy-saving LED lights, using environmentally-friendly cleaning products and reducing water usage. I was impressed to hear that the hotel partners with a recycling program to transform its paper waste into school notebooks. The hotel provides approximately 25 tons of paper materials every three months that are then processed into more than 1,300 notebooks, which are distributed to welfare organizations in Germany and abroad. 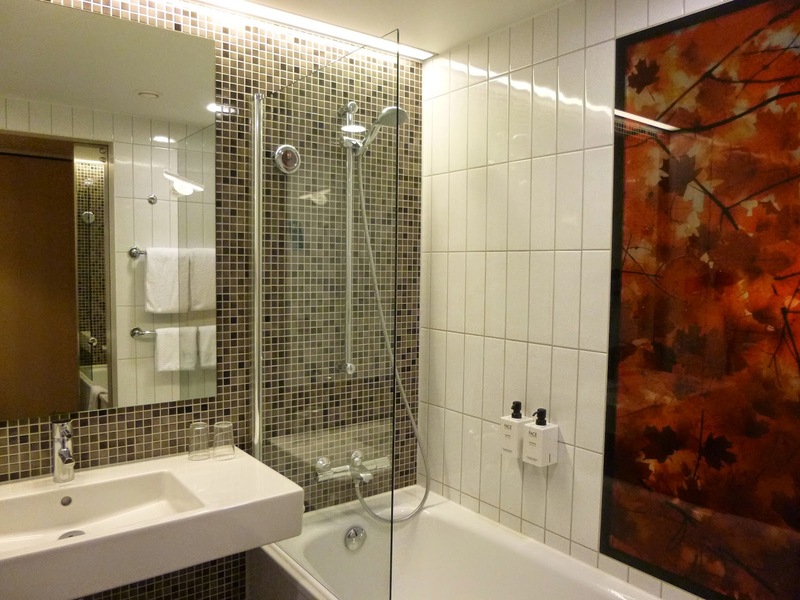 After a couple of nights at the Ritz-Carlton, I checked out and walked ten minutes to my next hotel, the nearby Scandic Berlin Potsdamer Platz. This was my first time staying at a Scandic hotel. Headquartered in Sweden, Scandic is a Nordic company with hotels in Sweden, Norway, Denmark, Finland, Germany, the Netherlands, Belgium and Poland. The company has a long track record of supporting sustainability initiatives over the past two decades. 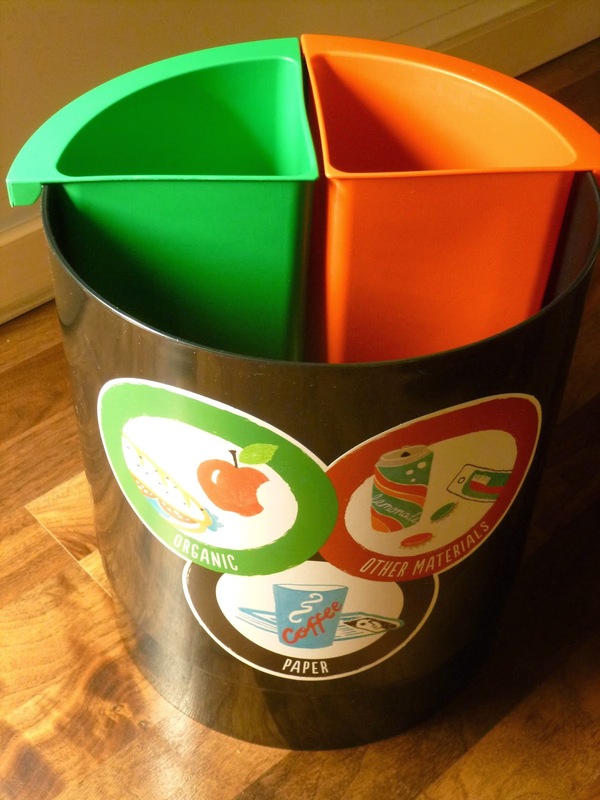 One thing I really liked and don't think I'd ever seen at another hotel was the way the hotel had subdivided the in-room wastebasket to allow for easy separation of organic and paper wastestreams. The cheerful and clever subdivided wastebasket at the Scandic Berlin Potsdamer Platz. To reduce packaging waste, you'll notice that the hotel has done away with the innumerable little bottles of shampoo and body soap that you find in most hotels and replaced them with refillable pump bottles in the shower. As a gardener, I loved the way that the hotel incorporated nature themes throughout its decor. 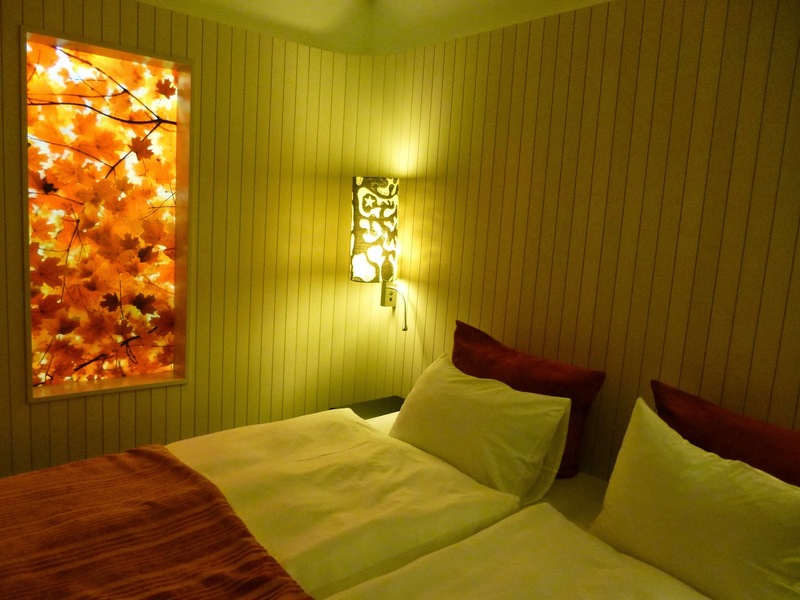 For instance, this translucent panel between the shower and the bedroom is decorated with a leaf motif that glows when the bathroom light is on. These nature motifs continue in the hallways, where murals (giant decals perhaps?) adorn the walls at the ends of the corridors. Piped in nature sounds such as birdsongs (motion-activated like the lights) provide a soothing soundtrack. I believe there are also ambient nature sounds in the elevators. 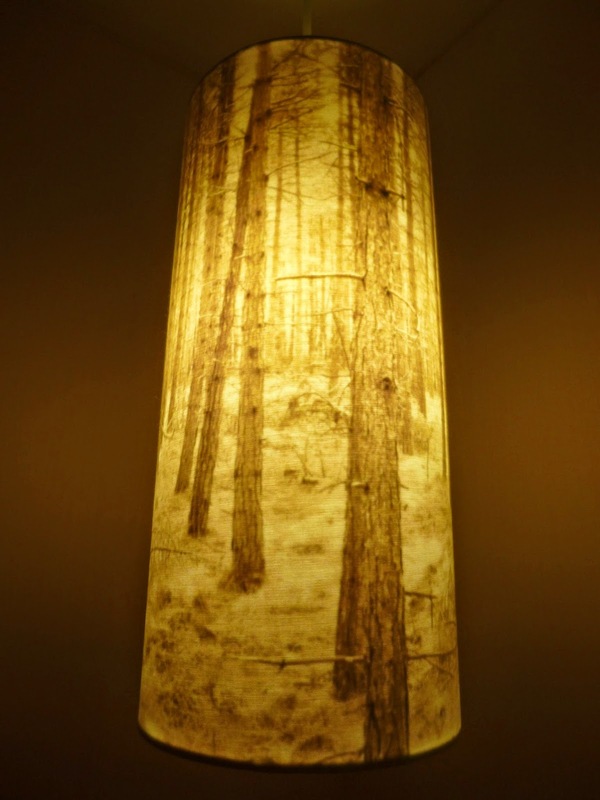 You'll even find the nature theme continued on some of the lampshades in the guest rooms at the Scandic Berlin Potsdamer Platz. Clearly the Scandic has less Old World luxury than the Ritz-Carlton. Still, I was impressed with the Scandic's trendy modern design. I liked the wooden floors for instance, and the floor-to-ceiling windows. 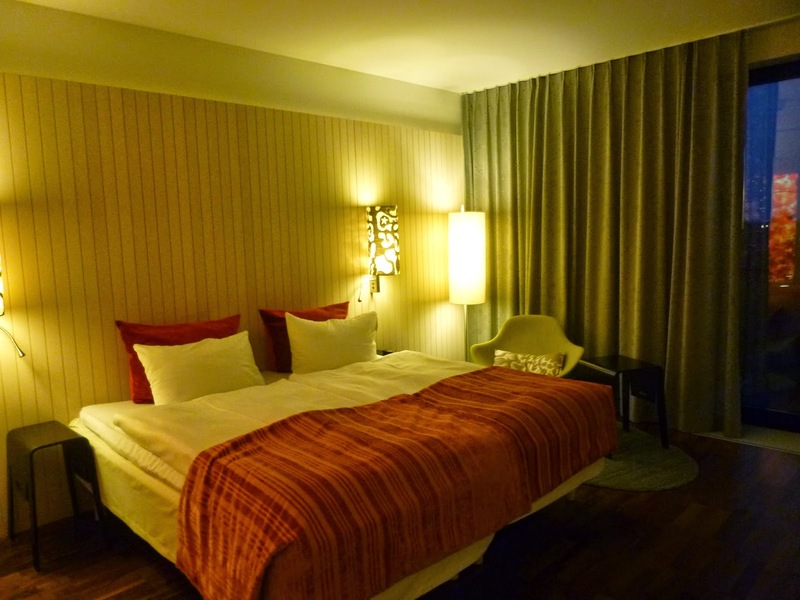 The Scandic Berlin Potsdamer Platz seemed really new and clean. Here's another eco-friendly design choice -- a dual-flush toilet designed to reduce water usage. 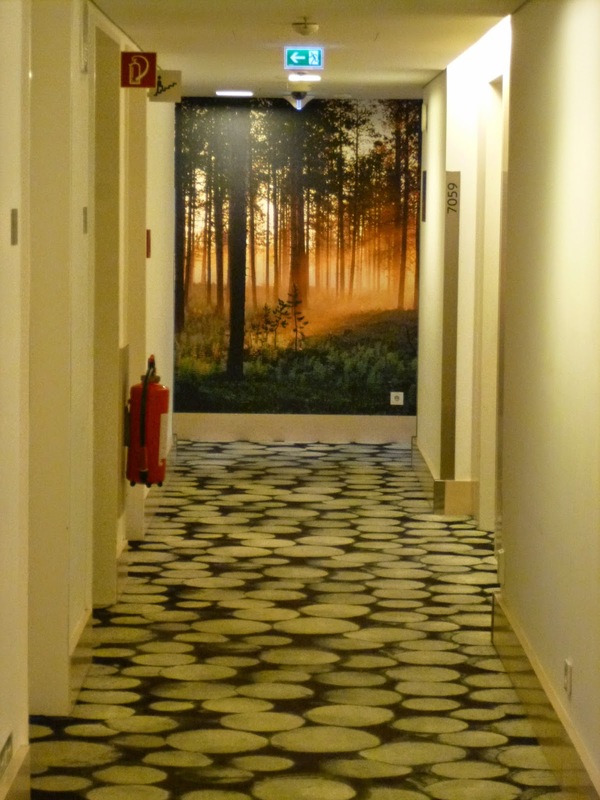 I like how the Scandic shows that you don't have to sacrifice beauty when you emphasize eco-friendly design. Personally I think it would be nice if every toilet in hotels (or homes) offered the dual-flush option. I didn't get a photo of it, but like the Ritz-Carlton, the Scandic Berlin Potsdamer Platz also produces and sells its own honey. Some of that honey also ends up on the breakfast buffet, which was included in our room rate and featured a selection of packaged and fresh organic products (which are typically labeled as "bio" in Europe). So if you're a gardener or just a traveler who wants to support and encourage eco-friendly business practices while still enjoying a comfortable and convenient stay, I'd have no qualms about recommending either the Ritz-Carlton Berlin or the Scandic Berlin Potsdamer Platz. Starting next week, I'll be sharing photos from my visits to German gardens. Stay tuned! 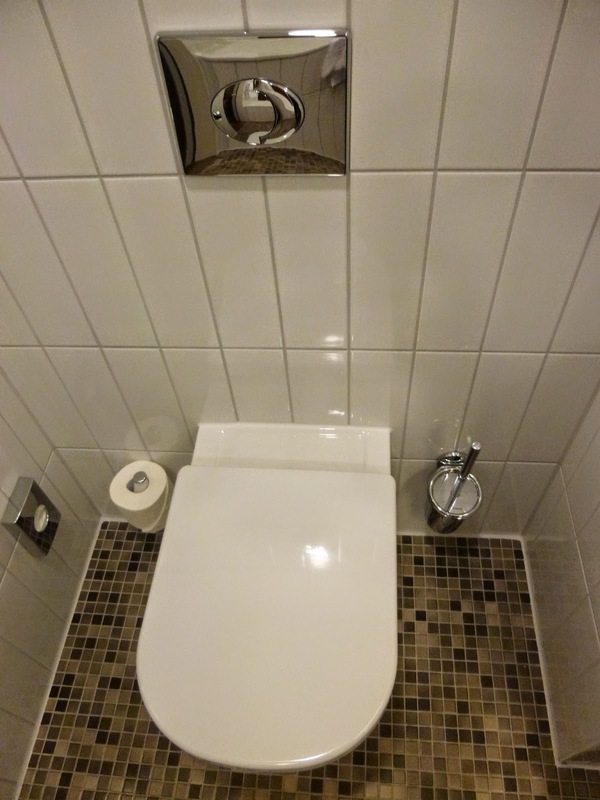 Full disclosure: Both the Ritz-Carlton Berlin and the Scandic Berlin Potsdamer Platz allowed me to stay in their hotels on a discount media rate. That said, all of the opinions expressed in this review are still my own.